Becoming a professional photographer can be difficult. It takes a lot of practice, time and consideration to make a decent living as a photographer. No matter if you want to be a portrait photographer, photojournalist or stock photography specialist, here are the basic steps to becoming a professional. Study how to take good photographs. Read books from the library, take classes and search online forums for tips. 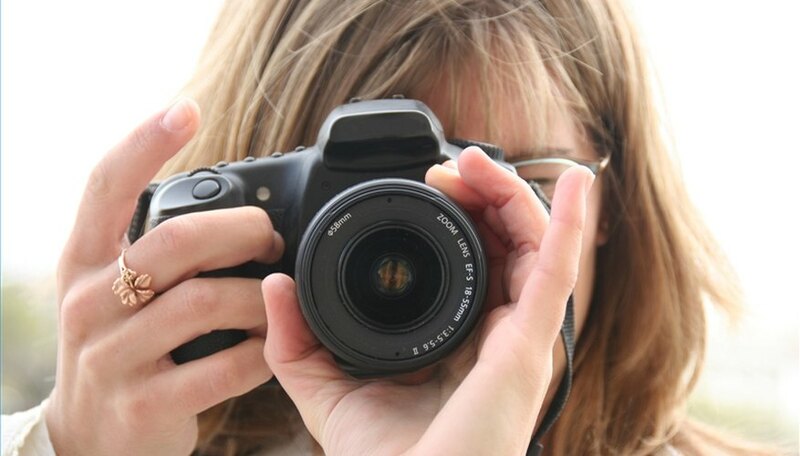 Photography Tips and Tricks and Digital Photography School are good blogs and forums to study. As for a recommended book, "Master Guide for Professional Photographers" is good for those wanting expert advice. Practice taking photos of your family and friends. Shoot everything you can. Use the best photos to make a portfolio to show clients and galleries. Your portfolio should have examples that show a wide range of your talents. For example, you should include outdoor photos, photos of people with props, photos of people in a studio setting and more. Have business cards printed with your best photo as an illustration. Display your best photographs on your personal website. Make sure the site includes your contact information and a way for visitors to join your mailing list. Use your portfolio, website and business cards to show others your work. Network as much as possible, both in person and on the Internet. Opportunities will only come your way if you put your work out for the world to see. Keep in mind that networking will eventually pay off and you will start to get paying clients. Try to diversify the types of photos you take to get the widest client base. Remember to always act professional. No one wants to do business with a rude person.